Well, I don’t know what’s best about these little pumpkin donuts: the fact that they’re so easy and quick you can have some ready in 15 minutes, or the fact that they’re baked, not fried, which means you can eat twice as many (obviously). 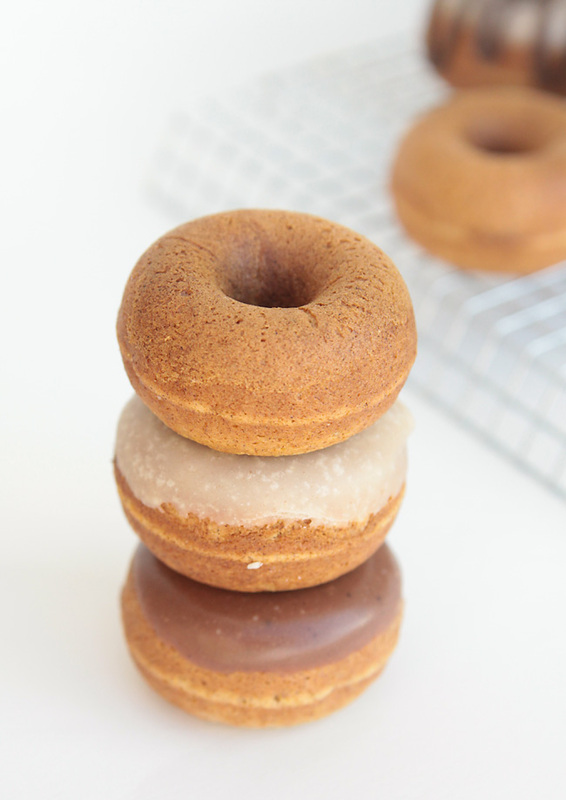 Last year I shared how my kids and I make mini donuts using cake mixes in any flavor we want, and that’s been one of my most popular blog posts ever. 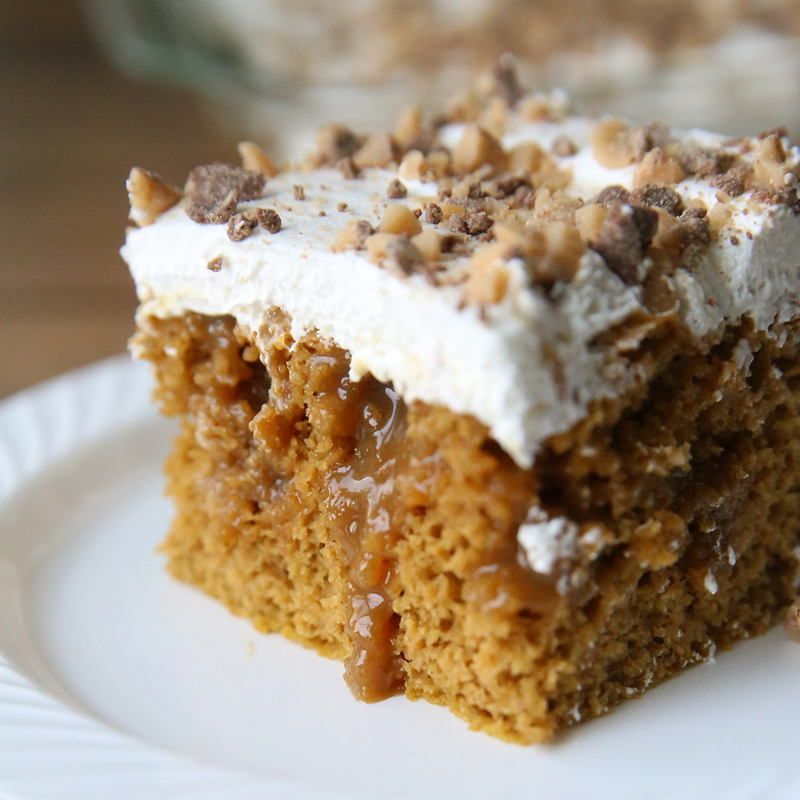 Since pumpkin season is in full swing, it was time for a simple pumpkin version. 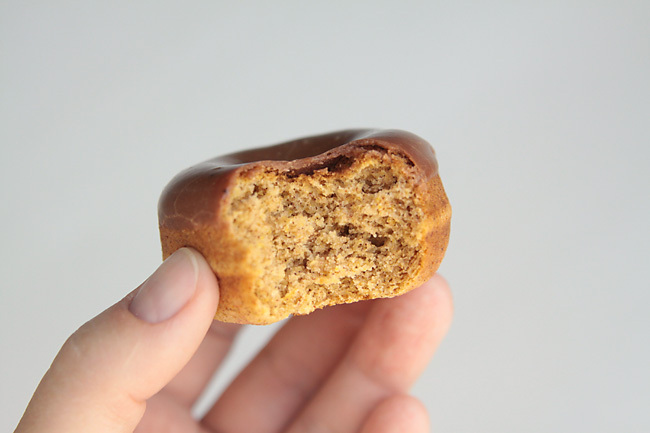 These are just as easy as the cake mix donuts, because they also start with a mix: I used Pillsbury Pumpkin Quick Bread mix, which you can find in most grocery stores this time of year. I cooked them up in my mini donut maker (affiliate link), which I love because it’s super easy and fast to use. My older kids are able to make donuts it in without any help from me. 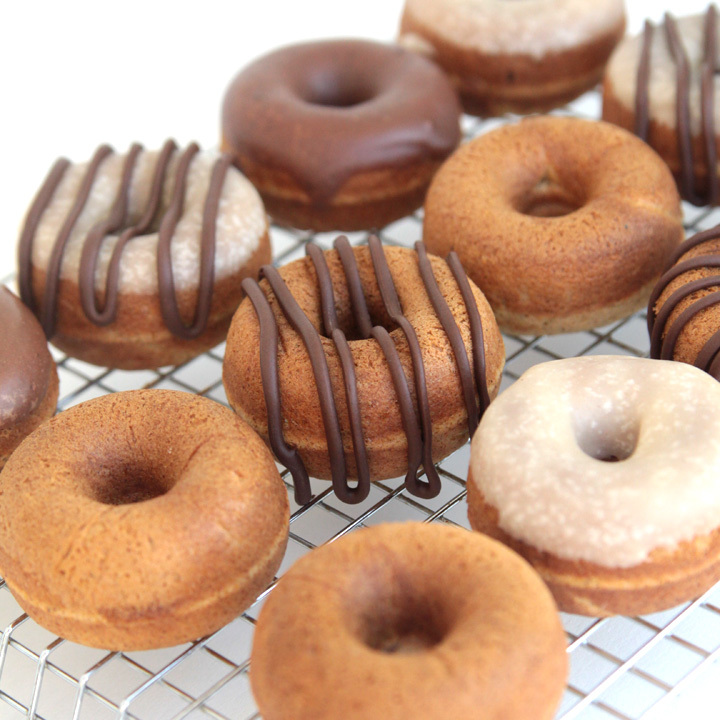 They love to pull it out when friends come over – it’s apparently pretty cool to make your own donuts. To make the donuts, you’ll want to mix the box of Pumpkin Quick bread mix with 3/4 cup water, 1 egg, and 3 tablespoons oil. Bake the donuts as directed in the cake mix donut post. You’ll get about 20 donuts. There’s a simple glaze recipe in that post you can use, or they’re great with chocolate frosting. But to make them really fantastic, top them with this super easy caramel glaze, which (according to my 14-year-old) makes them taste like Christmas. 1 – Melt 2 tablespoons of butter in a small saucepan. 2 – Once it’s all the way melted it will bubble a bit. Keep cooking for another minute or so, stirring constantly. 3 – When the butter has turned brown and smells amazing, take it off the heat. 4 – Whisk in 2 cups powdered sugar and 2-3 tablespoons of milk. Keep whisking until nice and smooth. 5 – Dip tops of donut into glaze. 6 – Let excess drip back into the pan. 7 – Glaze will harden as it cools. That recipe will probably make more glaze than you actually need, but half of it might not make quite enough…so experiment and see what you like. Use a little less milk for a thicker glaze for more glaze on each donut, or more milk for a thinner glaze. You may also need to turn low heat back on under the glaze if it starts to harden before you’re able to dip all the donuts. Now, some of my caramel glazed donuts dried speckled, as you can see in the photo above. I don’t know why that happened, but it doesn’t affect that flavor, which is incredible. four ing?! I was thinking yea,this will be go fun to make with the kids. But alas there are way more than four ing when you look at the box full of everything but four ing. Prehaps make a recipe with more ing not using a box? I hate using boxed food too many additives. They look divine though and I am sure they are! Made these in a regular sized donut pan and they turned out great. Baked at 425 degrees for 9 minutes and got 11 donuts. Only needed half the glaze. Thanks for this very easy recipe!